A popsicle stick Rudolph, macaroni wreath or the coffee-filter angel: these glitter-coated masterpieces are often a child's first exposure to the joys of creation and generosity. 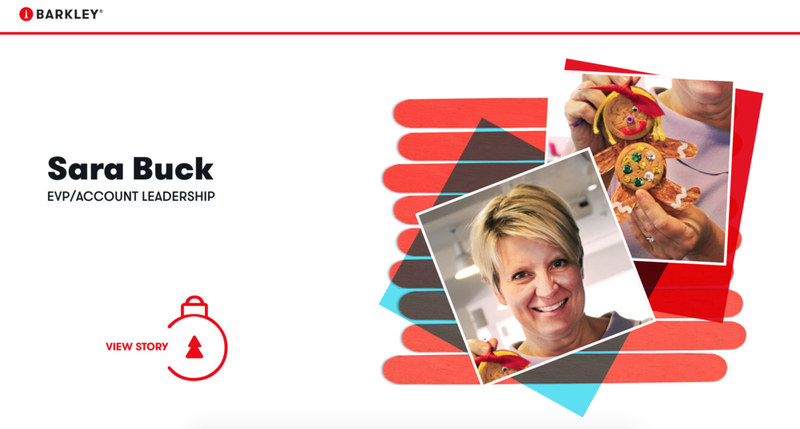 So, for the 2017 holiday season, Barkley took their traditional holiday card budget and used it to host an ornament workshop and gift personal art kits to 125 kids from Big Brothers Big Sisters in hopes of sparking creativity in the littlest Kansas Citians. 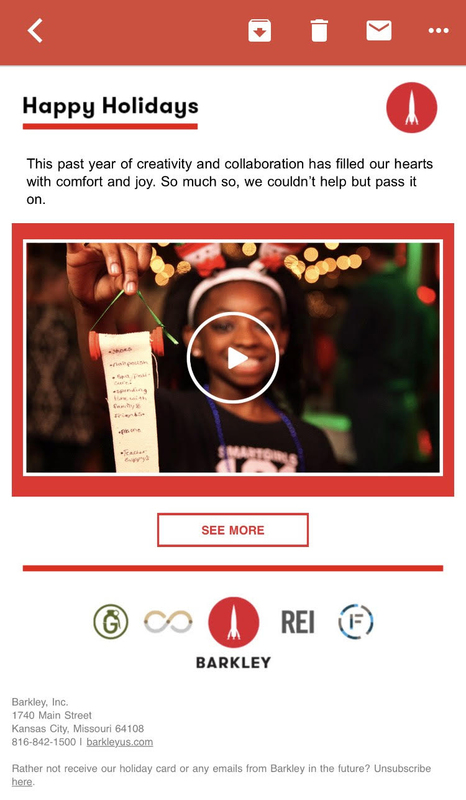 Partners and clients were updated about the action taken in their honor through a festive email that contained The Gift of Creativity video. The email also linked to a sub-page on the Barkley site that shared fun additional content. 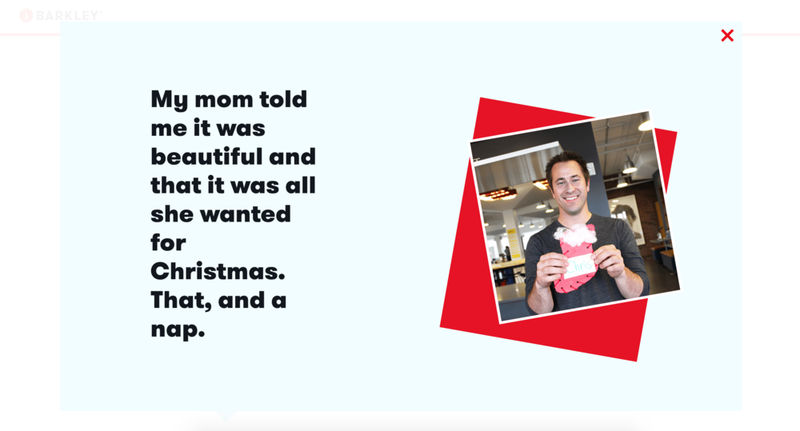 In addition to the sharing their time and creativity with Big Brothers Big Sisters KC, a few Barkley partners shared some of the stories and memories behind their childhood ornaments. This additional content was put up on the agency's blog for everyone's viewing pleasure. You can click-through to the site, here. Or you can check out a few screen grabs below. 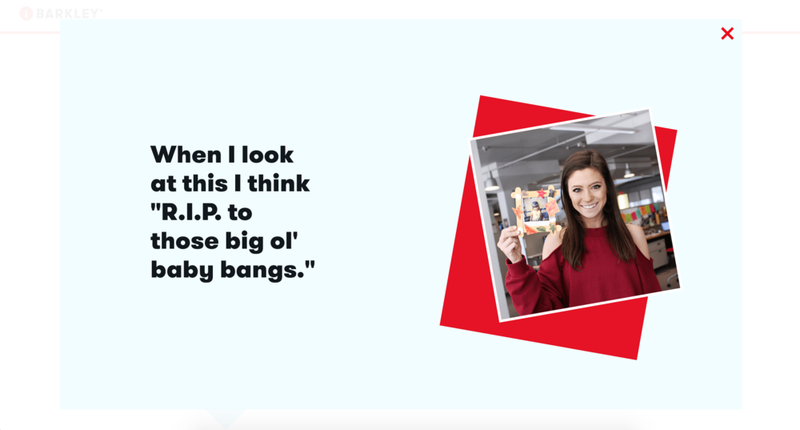 Digiday featured The Gift of Creativity in their article about how some agencies are creating new traditions by moving away from the seasonal stunts. You can read that, here.